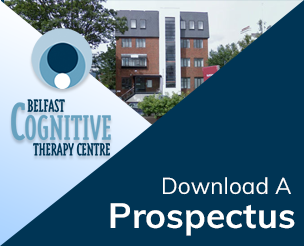 The BACP accredited Postgraduate Diploma in Cognitive Therapy is a two-year part time course designed to train from beginning to professional level. In Year One, CT Theory is taught 9am – 1pm and Skills from 1:30pm – 4:30pm one day each week. Briefly, trainees learn the basics of CBT and also how to work with anxiety disorders such as panic disorder, the phobias, post-traumatic stress disorder (i.e., symptoms which occur after a trauma), obsessive compulsive disorder, health anxiety, depression, grief, anger, low self esteem and ethical professional and legal issues. Each trainee is assigned a Study Advisor for both years of the course, usually a Graduate Study Advisor who has graduated with excellence. Year One assignments are designed to help prepare trainees for work with clients and are detailed in the BCTC Trainee Handbook. BACP no longer requires that trainees undergo personal therapy but some trainees wish to and there are many opportunities for personal development as part of the professional training programme. In Year Two CBT theory and skills continue one day each week. An additional day is spent in a practice placement near to where the trainee lives. Practice Placements are usually arranged by course staff and, as a third of trainees over the past 18 years have come from all over Ireland, placements are arranged across Ireland. Year Two assignments are designed to enable trainees to practice their skills with ‘real life’ clients in placements arranged by Centre staff. Course fees for 2018 are £5490 inc. VAT, which covers the fees for the first year of training. Fees for the second year will be approximately the same, but with a slight increase. A non-refundable fee of £500 is due to be paid by all successful candidates before starting the course. This fee will be deducted from the overall course fees. How Do I Fund My Fees? Fees are payable by single payment, or by deposit of £2,080 at the end of the first week (£500 of which is paid upon acceptance onto the course), followed by 11 monthly payments of £310 (inc VAT). No interest is paid over this 12 month period. Find out more information about our Scholarship Offer. The BCTC Trainee Course Handbook outlines all aspects of the course in detail and is available to our trainees, to those who attend for interview and for general inspection in our library. If you are considering applying to the Course you are also advised to attend an Evening Training Information Evening. Closing date for September 2019 PG Diploma applications: Friday 2nd August 2019 at 5pm. Interviews for 2019 PG Diploma Course: 19th – 22nd August 2019 at BCTC.